Hey everyone!! I'm your typical lurker and buyer. I don't sell much cause I generally keep my stuff since I love it lots!! Today I share my Torkoal collection (small) and Zekrom collection (big!). You can right click and "view image" to see a bigger size. Thanks for viewing!! Coding is fixed, I refuse to use rich text, and I leave out 1 little " on an image code in HTML editor and LJ eats it like a termite. Grr! Good evening! I come with a question about Munna plushes. I've just started really actively collecting, but I try to make sure I know what exact brand and type of toy I'm shopping for. But with a Pokemon like Munna, whose poses are generally all the same, I have to be extra careful! I own the one on the right already, which is a Jakks Pacific ~4 inch plush. 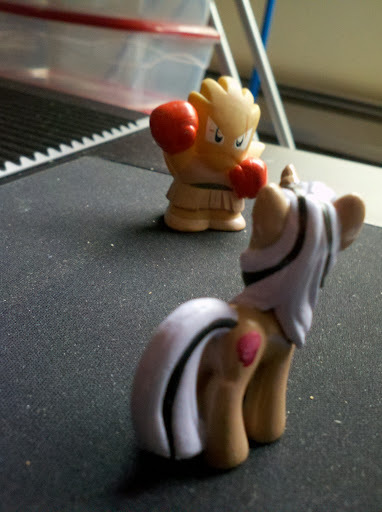 But I've also seen the one on the left alot which is usually referred to as a 6 inch Jakks Pacific plush. I know this is a silly question, but since stock toy photos sometimes don't accurately reflect what the plush actually looks like, I was wondering if these are indeed two different items? Hi, guys! 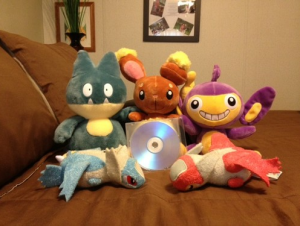 I was wondering if there's a Poke Plush Project equivalent for miscellaneous items such as marbles, coins, books, etc. As of now, I only collect official merch. I see a lot of things on eBay that look interesting, but I don't know if they're official. I'd like to be able to verify it somewhere, but I know that there's so much merch, searching for it would yield very few results, especially if it's a rare or little known item and I have no idea what the proper name is. I know that I can't post ALL of my, "HEY GUYS, WHAT IS THIS?!" questions (I've got way too many, trust me!) to here, so this is why I'm asking. 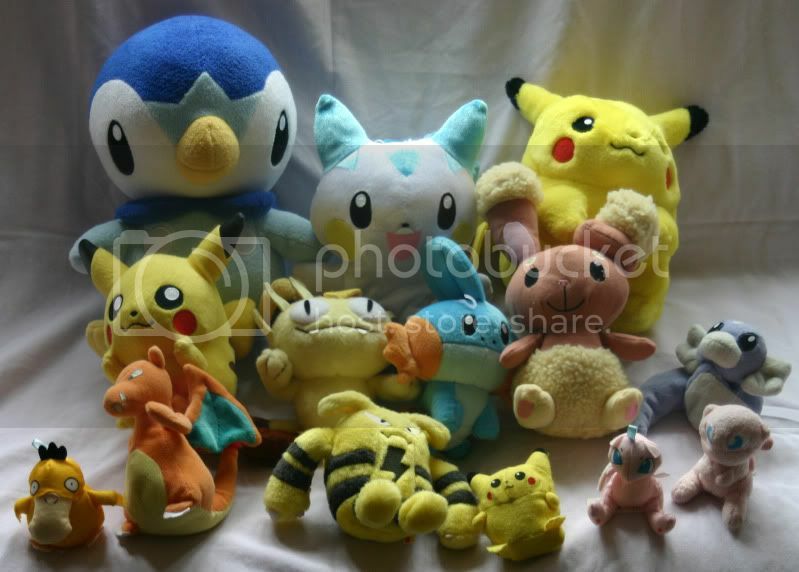 Is there an equivalent to Poke Plush Project for other items besides plush? I'm sure it would be incomplete, as there is a whole crapton of Pokemon merch out there, but even a little merch encyclopedia would be nice! Does such a thing exist? Much thanks! Also, a meme! How has your collection changed over time? I know that some of you only collect certain Pokemon. Has it always been that way? Or did you start off collecting everything and have to focus your collection a bit? I'm interested to know! Boring post was boring, have yourself some Chikorita~! What does one do when one has 109 metal figures in blind boxes that one will soon offer to the community?! BONUS!!! Pokemon Center Shopper Bag collection sale preview??? Do you like limited Pokemon Center shopper bags from the past six years? Want any?! Sneak peek!! Come and watch! If you're bored! If you're not bored! If you like metal figures and Pokemon toy history! Let's try this again! I have a few handmade cut paper Pokémon for sale in my Etsy shop! I've lowered the prices on them too, so check them out! 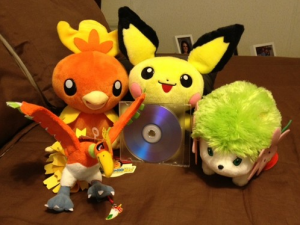 And I also have some Pokémon stuff for sale on eBay, including Eeveelution charms, a Grovyle charm, an Eevee Kid, a Victini TCG promo, several Pokédolls, and more! Questions and comments always welcome! I'm always open to offers too so don't be afraid to ask! First and FINAL Reminder of Jirachi Wish Maker Cards Auctions! FIRST and FINAL reminder for these cards! CLICK ANYTHING IN THIS POST TO BE TRANSPORTED TO THE AUCTIONS! THIS IS THE DECK WHERE THE CARDS ARE COMING FROM! 5 pictures, each an example of some of the lovely cards in this set! ALL CARDS ARE MINT! **ALSO STILL PAGING BADSHINES! 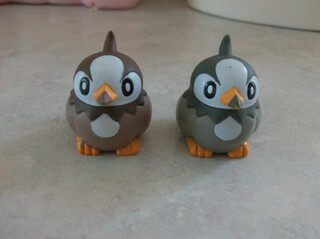 I NEED AN UPDATE ABOUT MY POKEMON MYSTERY DUNGEON FIGURES! I PAID FOR THEM OVER A MONTH AGO, I'VE TRIED PMING YOU WITH NO REPLY! I just need to know where these figures are! I'm running into a problem trying to sell some of my cards. For most of them I can check what they've sold for on eBay, but some of them have no record, no matter what name I put in. What do you guys do when that happens? I'm going to start my collection weeding with some card sales! Take a look under the cut! ★I ship from the US, and I ship worldwide!. Packages will be shipped within a week of having received payment. I am not responsible for packages lost in the mail. ★Trades are a-okay! I'm mostly looking to get rid of these cards, so I'm totally ok with doing 2 normal cards (me) for 1 normal card (you). Show me what you've got! Payment 1 for Pichu and friends GA! This is the first payment for the GA; the second will be for shipping from me to you, so look out for that! Hey guys, I've just updated my sales with some stuff from the pokemon center event in Singapore including the leftover stuff from the previous sales. Just some pictures to summarise it. It includes iPhone Cover, Shiny Rayquaza Shopping Bag, Pokedolls, Mini mascot dolls, Clearfiles and Notebooks. There is also a lot of KIDS left over in my sales post that needs homes! I shared this on the facebook group, but I wanted to share it with everyone here too! Awesome new get! Keeping an intended gift? Oh my goodness! A wonderful new get in the mail today! A Pokepony commissioned by bluehyaku! Click the cut for more close-ups! Hi everyone! I'm here with some quick plush and charm sales today! 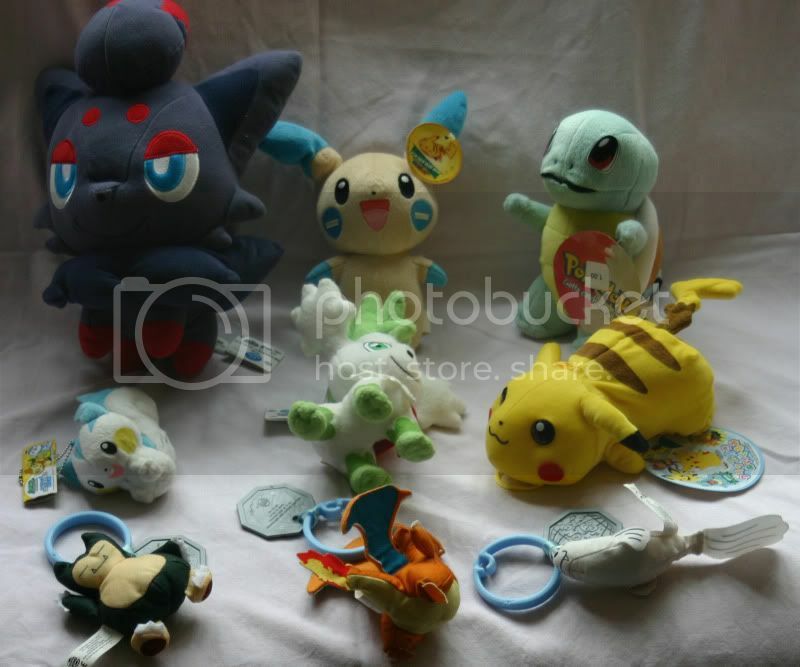 I've got a couple Pokedolls and some nice Rayquaza charms (including the shiny lotto one)! Time for more custom amigurumi orders! Before you comment please read the rules. Some of my previous work can be seen in my scrapbook here. This shows my style of amigurumi. Also, check out my regular sales here, and my Etsy shop! You can combine items with your slot, just ask! Ash is a Giant GA is in! Also clearance plush sales! Hi guys. Sorry for the delay, I've been in a pretty bad state this month, some of you may know part of the reason why. Anyway the good news is I tidied my house from top to bottom, and my mother has taken on shipping duty, so there will be nothing but super fast, efficient postage from this point on (bless her heart). That also means I have found an absolute mountain of things to clear out! The WHOAMG ASH IS A GIANT GA is in, and the post with all your lovely pictures is here: http://gothybeans.livejournal.com/3328.html Postage details are also in that post. I'll PM participants asap. And now... Sales! Sales sales! Sales! I saw these two figures on eBay but not sure if they're legit. Can someon help me figure out if these are the real deal? Ditto looks fine to me but I don't know about Gastly. Lots and lots of Battrio Coins! Wooh! Threads are all up. Anyways, as I mentioned I've stocked my shop with TONS of cards!! Some older, if you are collecting specific ones/specific sets, and some newer, for collecting/deckbuilding. A bunch of online TCG cards have been added, including some of the promo ones. Other misc flats have been added as well. And lastly, I dropped the prices on various things. Was on a weekend Pokejourney! Hello everyone, was planning to update before the weekend but was busy for packing for the Con here in Holland! there was this shop there where I always go to get myself some plushies, they had really cute ones! I saw DX Best Wishes Banpresto Samurott and DX Best wishes Banpresto Munna! ( Also even Axew! will get him in August<3) but my eyes where on only one DX plush! Some small plush and other questions! Second thing, I went through my Charmander collection again, I own two of these adorable reversible plushies, however, they have some differences, so I wanted to ask if one of them is a bootie. 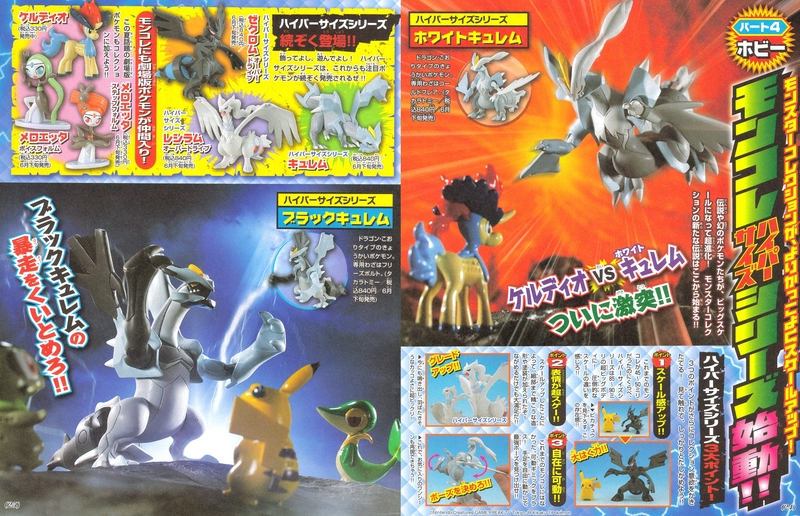 Meloetta TOMY and Hypersize MC pics! Here is our first pics of the Meloetta formes' Tomy Monster Collection figures, and the new Hypersize Monster Collection line, with nice comparisons to the regular kind. :D Thanks to denkimouse for the scan!! What do you guys think of the new Hypersize line? I think they look great! Just a reminder you guys, we've got about 32 hours until myvampirelust's GA closes and we really, really need bids! 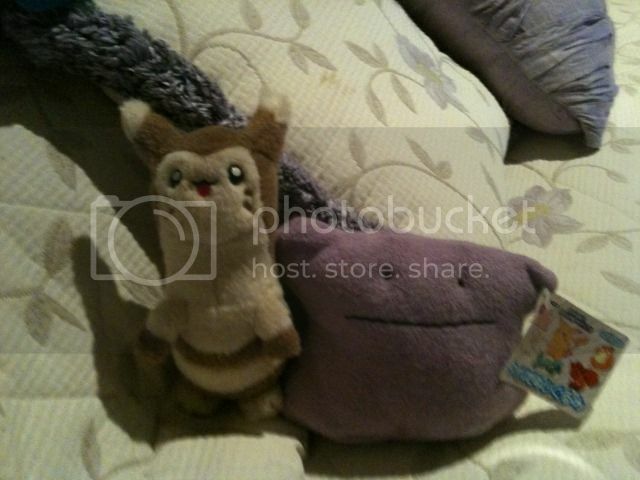 I've tried to get in contact with you because you've won the TOMY Furret, but it's been four days with no response! You've got 24 hours to get a hold of me, or I'll either re-auction the item or see if the second highest bidder still wants him. On that note, misseveyg, were you still interested? Aaaand last but not least, some gets under the cut! I have had two bootleg GBA games for a while, and just decided to list them on ebay. They're pretty good for entertainment value! If you are interested, you can find them here! HE IS BIG, so shipping will be expensive, specially internationally, and for domestic, due to the value, I will RECOMMEND insurance, but its up to the buyer. OH BTW, I till got other plushies and stuff for sale ;) <-- Prices have been reduced!! It's been a while since I've posted a collection update, and even the horrid glare of my camera's flash can attest to how urgent I've felt to get this VERY, VERY overdue update made. Some of these items are relics that I've once owned, only to lose them in spite their rarity and thus I never imagined I would re-acquire them. Another item I never even knew existed until I saw it listed on auction and I just knew I would never live it down had I passed on it. And some are brand new releases, but still loved just as much!